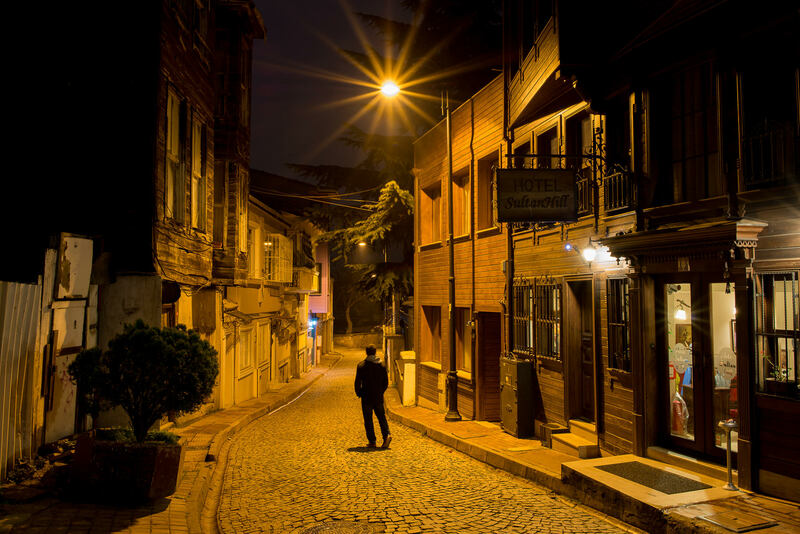 Directions: Wandering Sultanahmet, Fatih at night offers great unobstructed views of the many landmarks around Istanbul. Starting at the Blue Mosque as your center, work Northeast by foot to view the Hagia Sophia and the Ahmet Fountain just east of the Hagia Sophia. 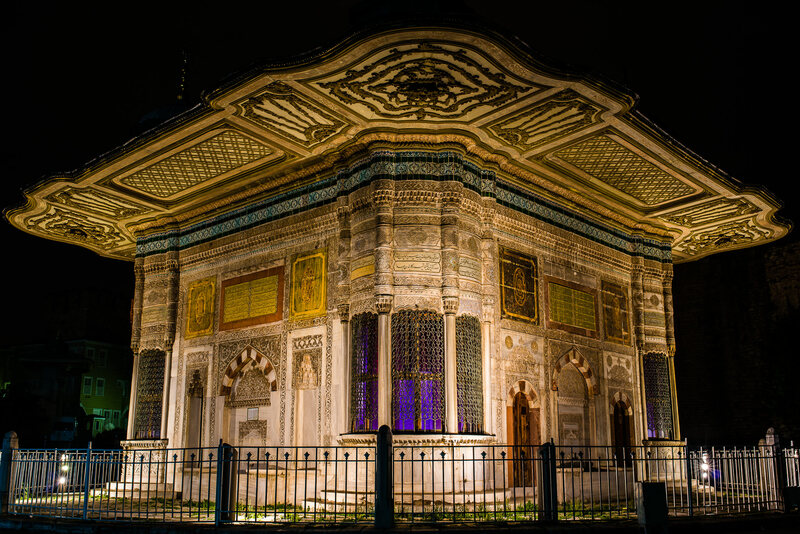 Sultanahmet, Fatih is the district in Istanbul where you can find many of its most iconic sights. 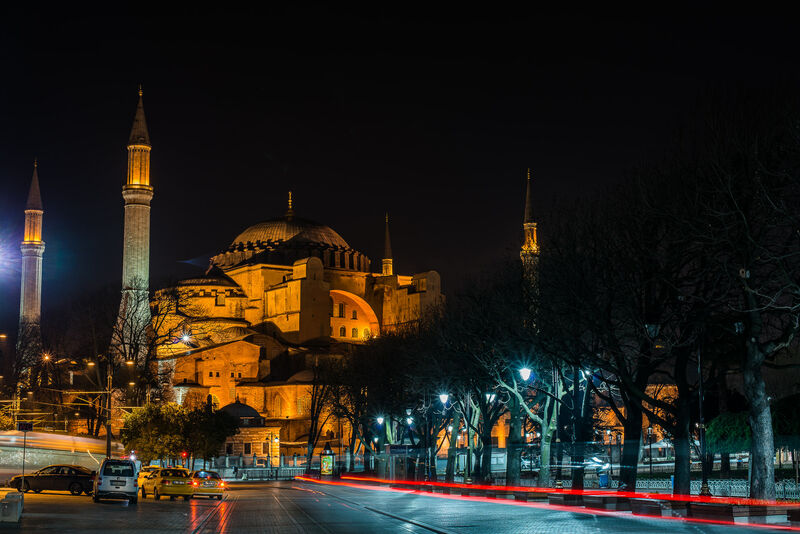 Aside from the Blue Mosque, the famous Hagia Sophia can be seen here. Capturing the immense building is difficult but with large crowds, other photographers and street merchants in the way, the building can be an even greater challenge. While wandering the streets and neighborhoods, sights that I had previously missed due to milling crowds such as the Ahmet Fountain were not in plain view! Lastly as you walk you can find empty streets which give you a eerie chill but makes for a great backdrop for friends to pose in. 1. Travel with friends for safety and fun. 2. Tripod for stability is a must. 4. Stop down for cool sunstars.